Our “Now and Then” series takes a look at one of the more dramatic comparisons on the reservation: Murrey/Cubworld. One of the easiest ways to see that change is at the Dining Hall. Most of you are aware that Camp Murrey opened in 1960 with Stahlman and Parnell; it was the family camp. Thus, as the top photo (1972) demonstrates, the camp’s needs were small and therefore so was the dining hall. As part of the 1994 Capital Development Campaign, Murrey was replaced with CubWorld. The dining hall was gutted and expanded. You can see quite clearly in the bottom photo (2018) the aspects of the original dining hall that remained after the renovations. 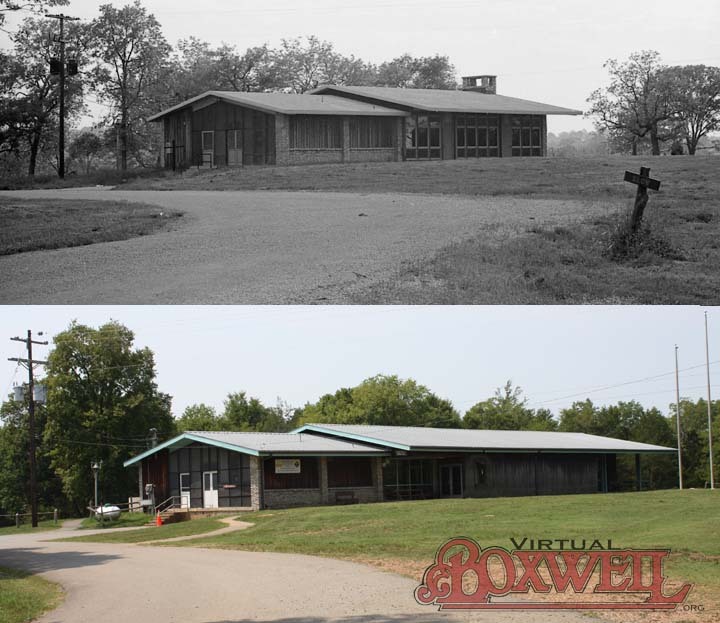 Top Photo Murrey Dining Hall in 1972; Bottom Photo Cubworld Dining Hall, 2018.